DMV Has A Secret Office with No Sign On The Door! Home » News » Local News » DMV Has A Secret Office with No Sign On The Door! 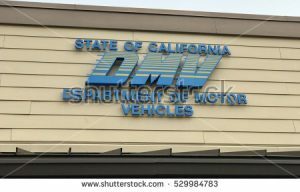 The DMV is in the news again today with discovery that they have established a secret, unmarked office located in the Legislative offices in Sacramento that is there to handle elected officials and their staffs, personal DMV activity. The office is staffed from 8 a.m. to 5 p.m Monday through Friday and serves current and retired members of the Legislature and Congress; current legislative staff; employees of the Legislative Analyst’s Office, the Legislative Counsel and the Legislative Data Center; and elected and appointed officials. Gov. Brown and the legislative audit committee on Wednesday stopped a requested audit into the DMV to report on why there is so much waiting time at all DMV offices, and general anger by the public at the way DMV runs its day to day service. Average waiting time is 69 minutes which is up 46% this year.